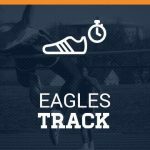 South Cobb Boys and Girls Track will have a player/parents meeting on Thursday January 19th at 6:30pm in room A202. We will go over Academic Eligibility, Fees, Athlete Handbook, and expectations for this season. If you are an athlete interested in running track you and a parent NEED to attend this meeting! See you on Thursday.